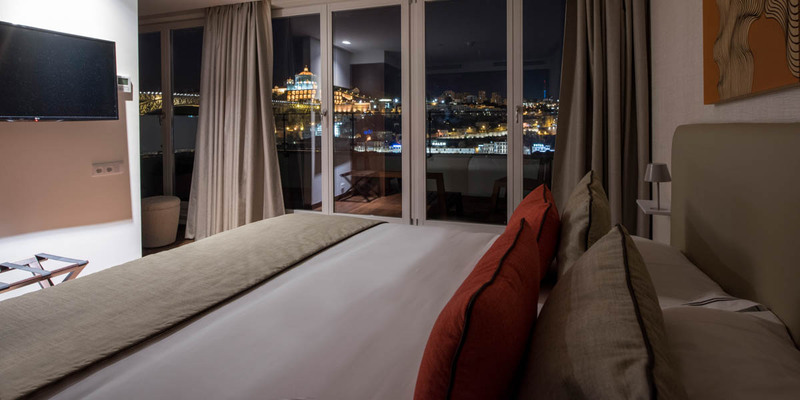 Located in the heart of Porto, our rooms offer renovated architecture, large spaces with a neat design and the best services. 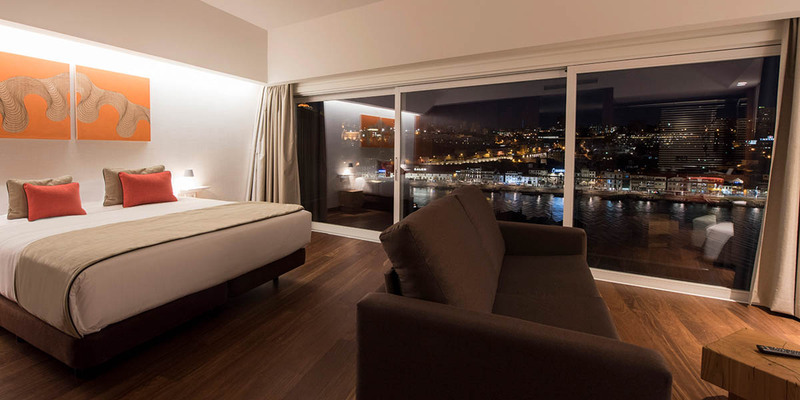 Some rooms will give you a view of the Douro river from large windows and spacious terraces. 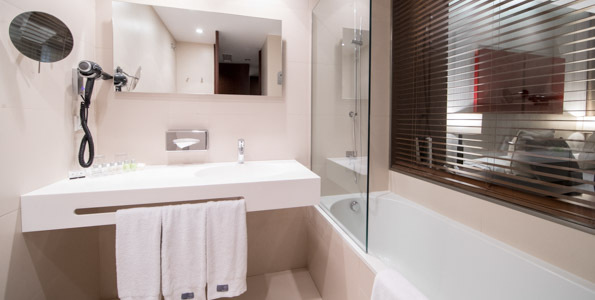 All the amenities you need in a room that is perfect for short stays, weekend getaways and business trips. 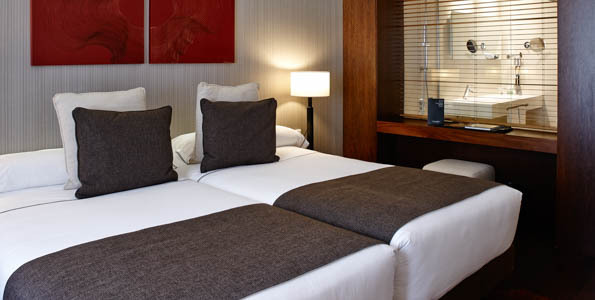 An elegant and comfortable room with air-conditioning, flat-screen TV with satellite channels, infusions kit and an en-suite bathroom with toiletries and hairdryer. 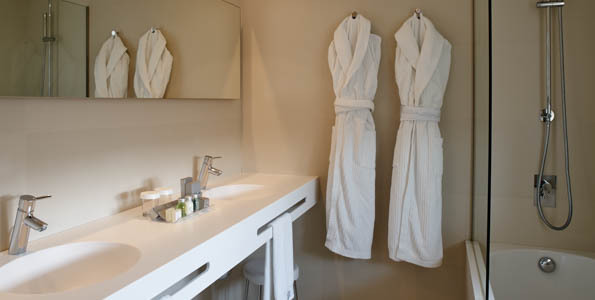 With services and facilities to make your stay easy. 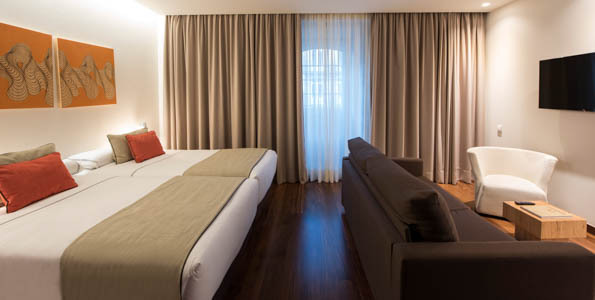 Spacious and with a stylish decor, this room specially designed for families offers two separate beds. 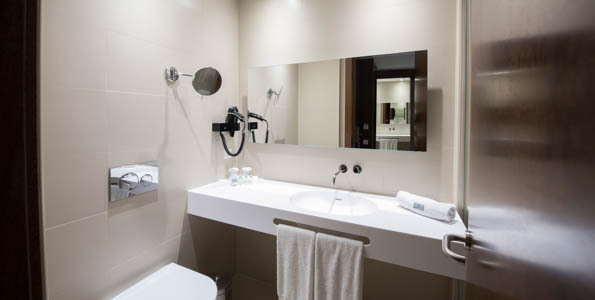 The facilities in the room include a flat screen TV, Nespresso coffee machine, infusions kit and an ensuite bathroom with amenities and a hairdryer. 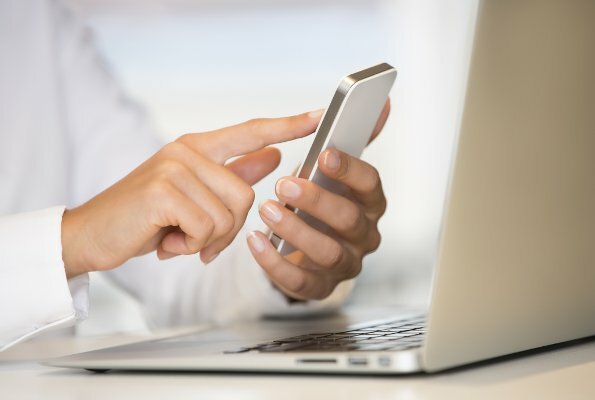 Perfect for some family vacations! 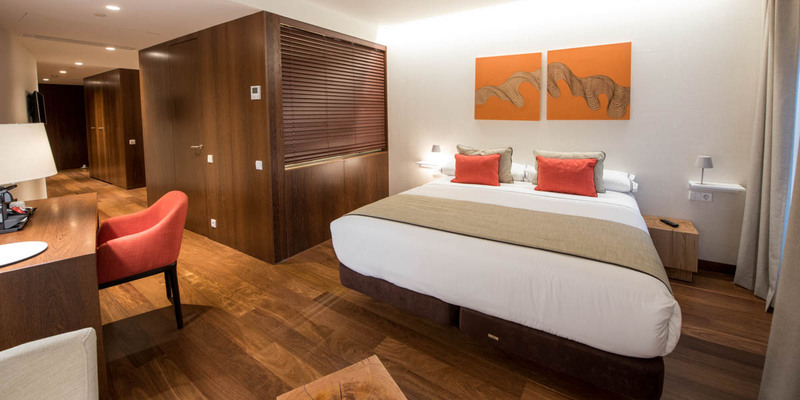 (Please note that this room cannot accommodate a cot). 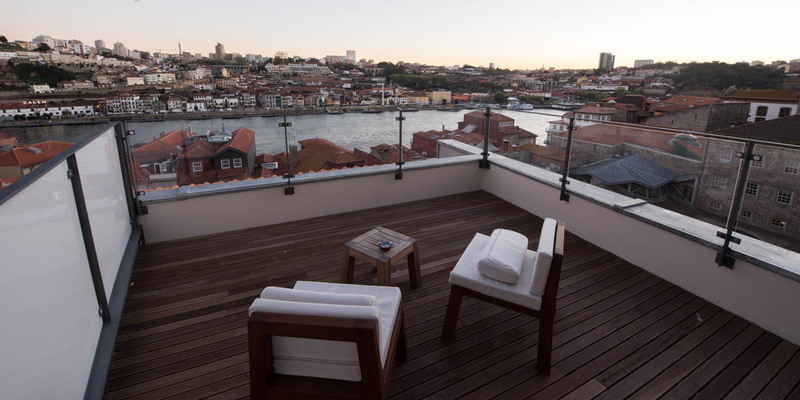 Thanks to the spacious terrace attached, this room will allow you to enjoy views of the Douro River with greater comfort. 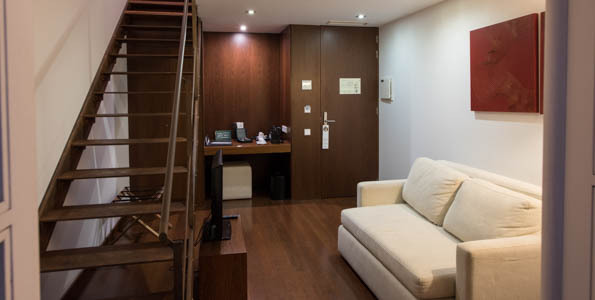 Modern room with air conditioning, a flat-screen cable TV, a tea kit and a private bathroom with toiletries and a hairdryer. 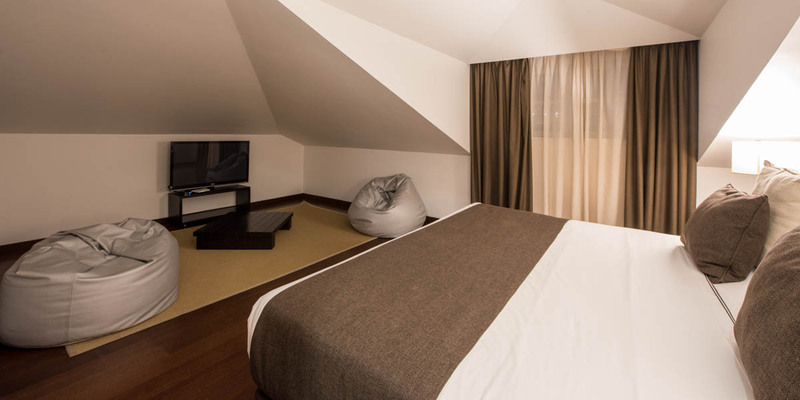 A large and comfortable room with a neat decoration, so cosy that you will right at home. 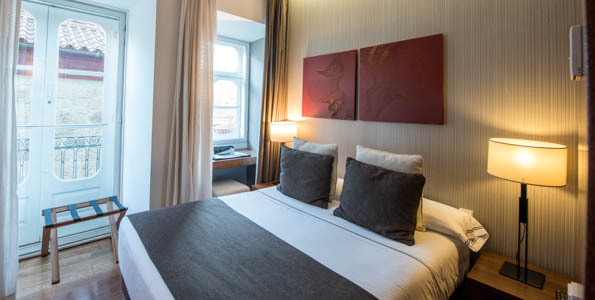 Room with a modern decoration, flat-screen TV and satellite channels, infusions kit and an en-suite bathroom with toiletries and hairdryer. 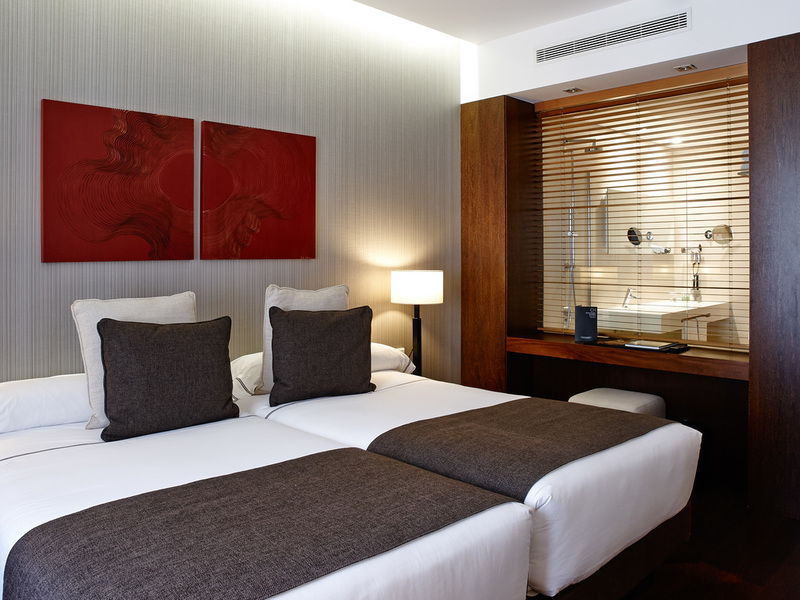 A room that oozes comfort and quality, designed exquisitely so you can pleasantly relax and recharge your batteries. 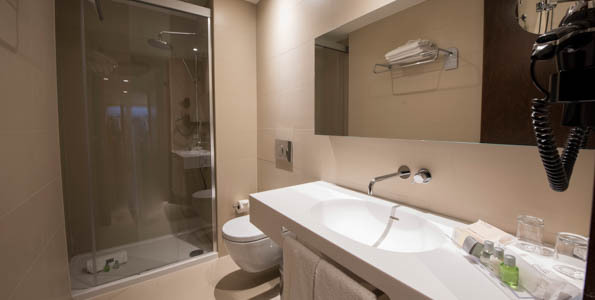 This suite presents a modern decoration, a flat-screen TV with satellite channels, Nespresso coffee machine, infusions kit and an en-suite bathroom with toiletries and hairdryer. 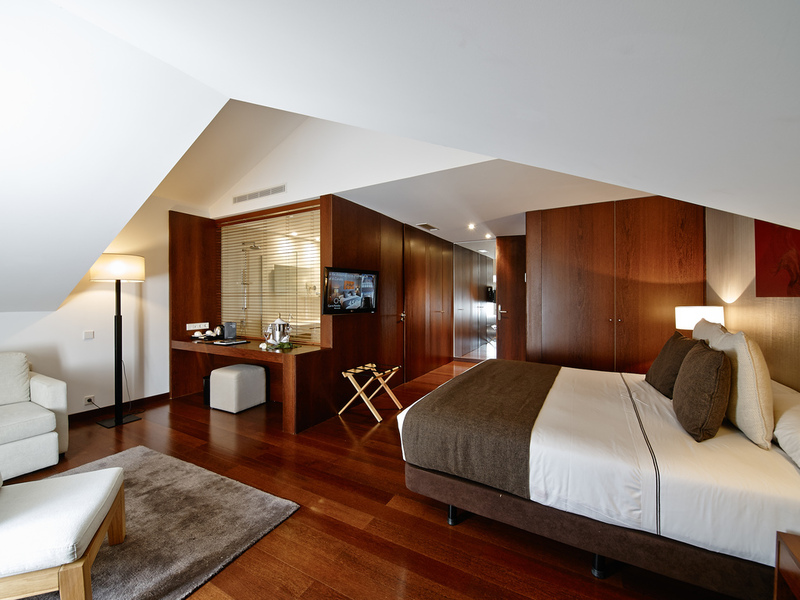 Room with two floors with bedroom, bathroom, terrace on the upper floor and living room with sofa in the lower floor. 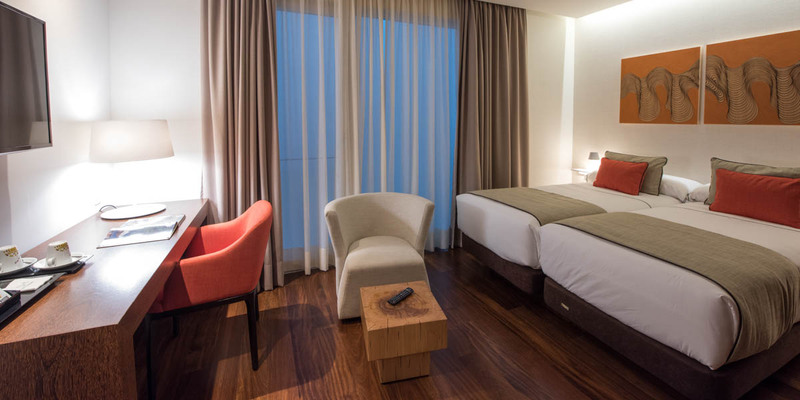 A large space for comfort to your taste, equipped with everything you need to enjoy the best possible rest. 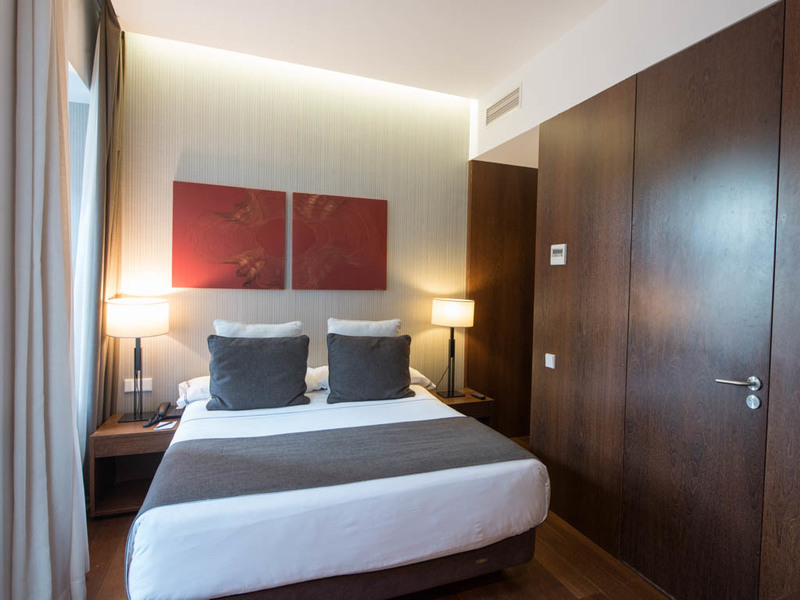 Room with modern design that includes air-conditioning, flat-screen TV with satellite channels, Nespresso coffee machine, infusions kit and an en-suite bathroom with toiletries and hairdryer. 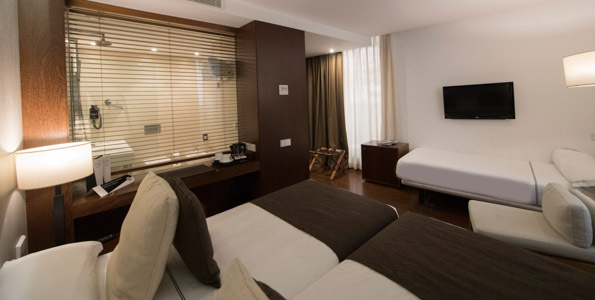 Capable of making your stay an unforgettable one. 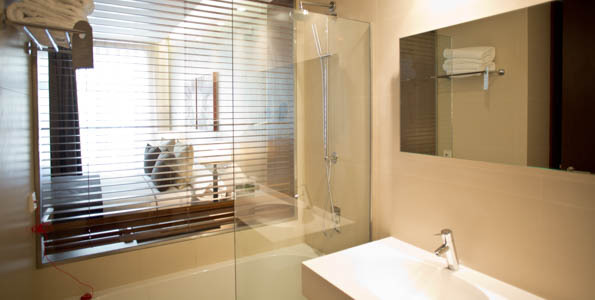 A room with exclusive design with great detail. 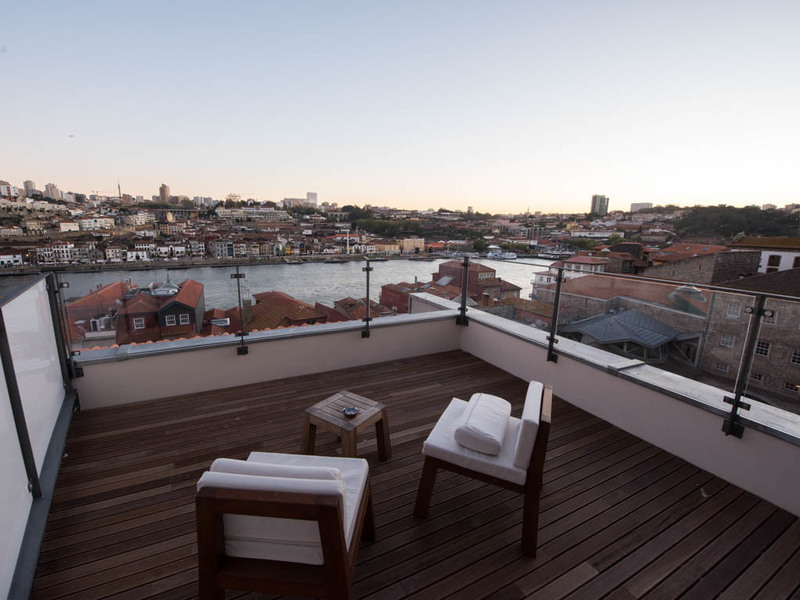 It includes a spacious terrace or large windows with views of the Douro river. 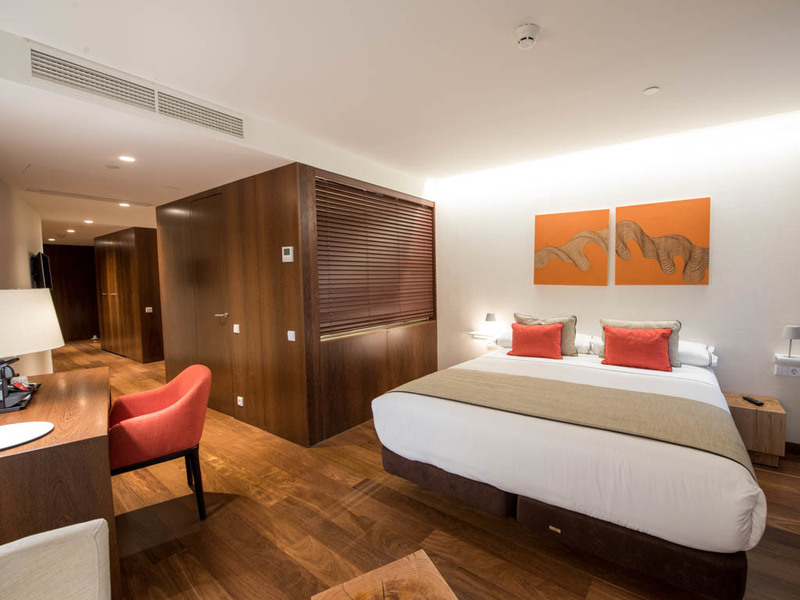 This suite presents an elegant and modern design with a flat-screen TV with satellite channels, Nespresso coffee machine, infusions kit and an en-suite bathroom with toiletries and hairdryer. 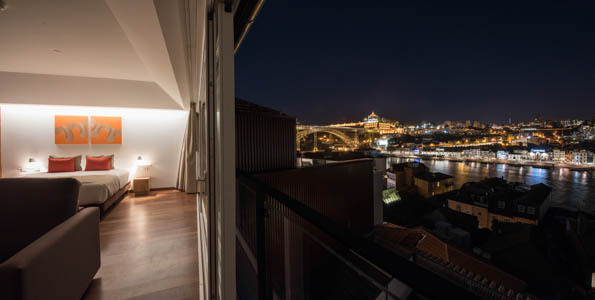 With a large panoramic window framing the best possible view of the Douro River and its bridges. 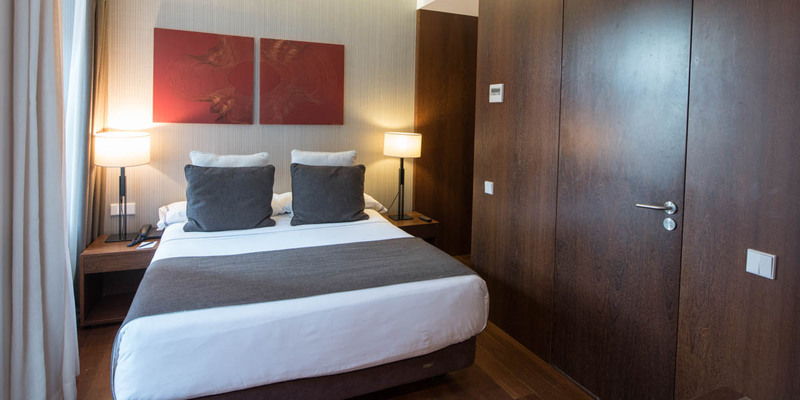 A room measuring 70m2 with luxurious details to make your stay unforgettable. 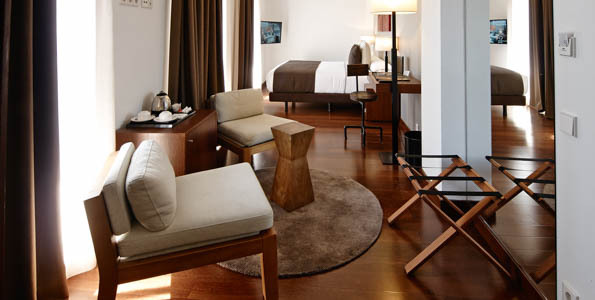 The room includes an LCD TV, minibar, Nespresso machine, tea kit and VIP amenities. 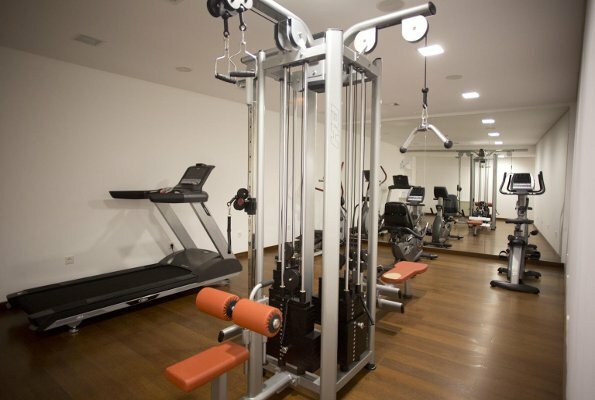 We have free Wi-Fi network in every room and a fitness room. 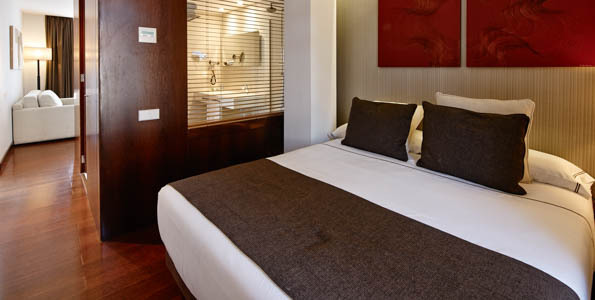 From 76€ per night - 90 rooms of 10 types. 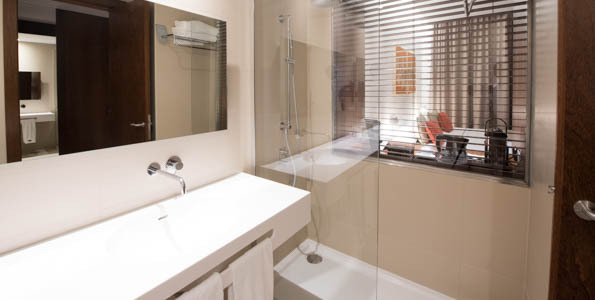 All the amenities you need in a room that is perfect for short stays, weekend getaways and business trips. 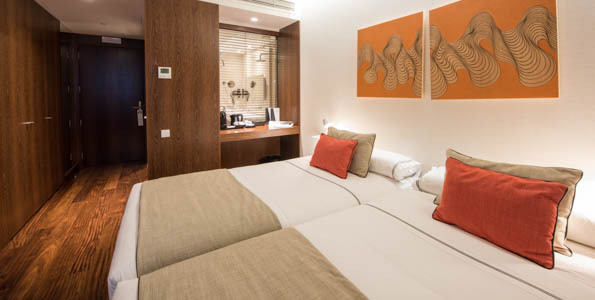 An elegant and comfortable room with air-conditioning, flat-screen TV with satellite channels, infusions kit and an en-suite bathroom with toiletries and hairdryer. 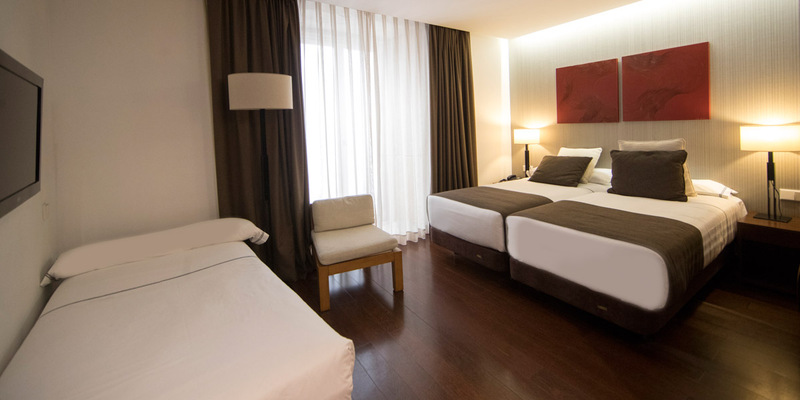 Pleasant and comfortable, with everything you need so you can fully enjoy your stay. 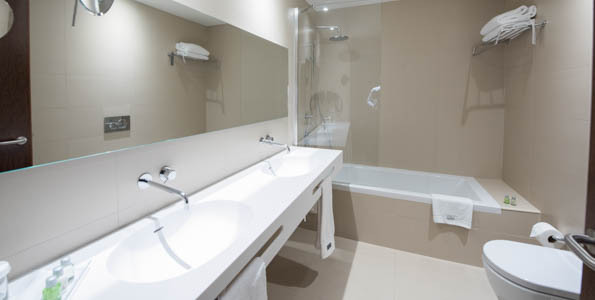 Room equipped with air-conditioning, flat-screen TV with satellite channels, infusions kit and an en-suite bathroom with toiletries and hairdryer. 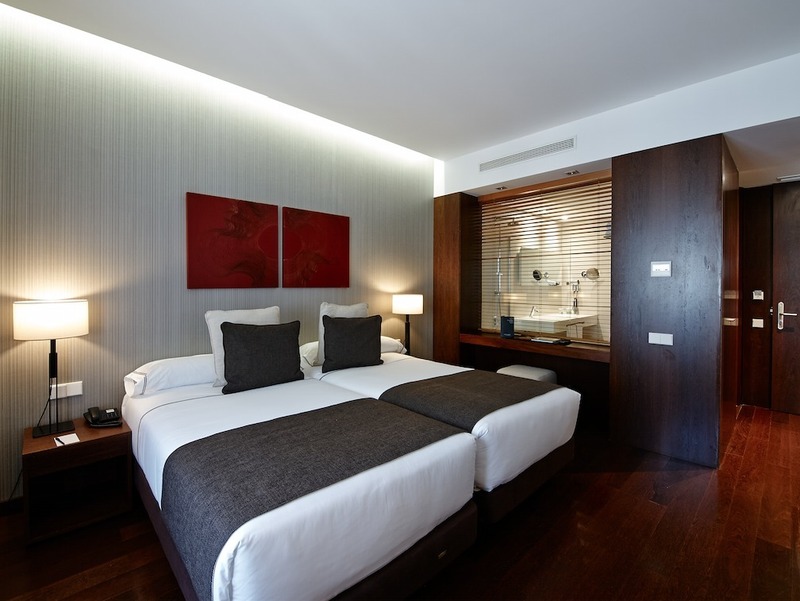 A room that offers comfort and quality, designed exquisitely so you can pleasantly relax and recharge your batteries. 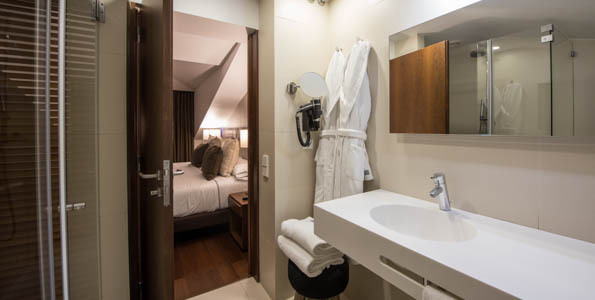 This suite presents a modern decoration, a flat-screen TV with satellite channels, Nespresso coffee machine, infusions kit and an en-suite bathroom with toiletries and hairdryer. 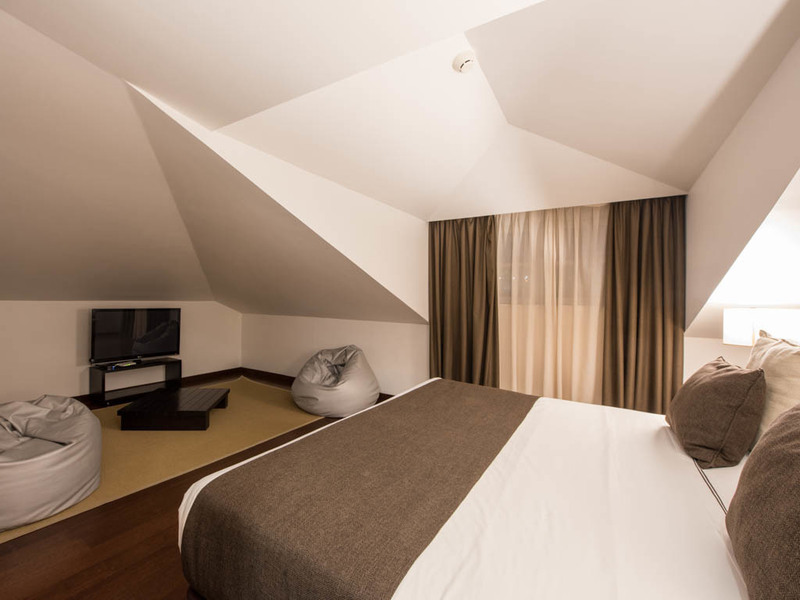 Room with two floors with bedroom, bathroom, terrace on the upper floor and living room with sofa in the lower floor. 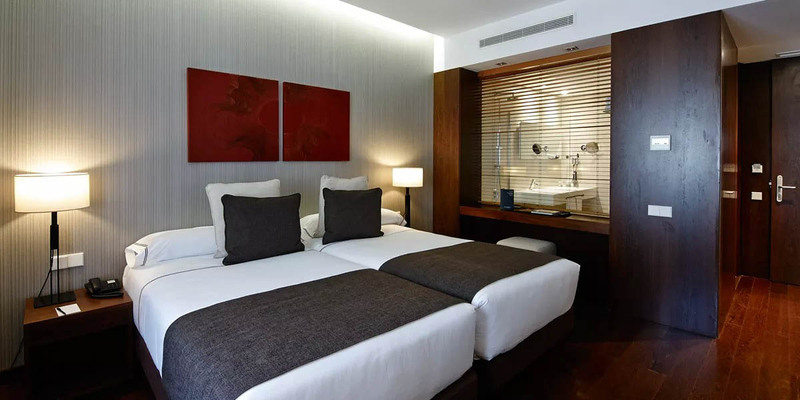 Room with modern design that includes air-conditioning, flat-screen TV with satellite channels, Nespresso coffee machine, infusions kit and an en-suite bathroom with toiletries and hairdryer. 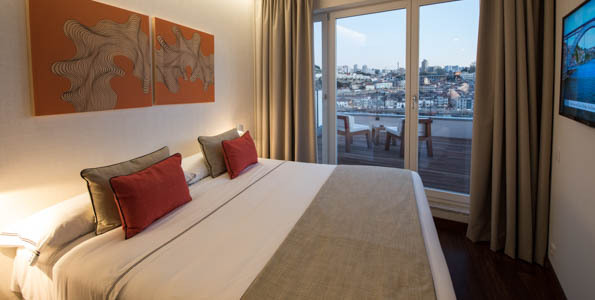 The best rest in Porto Capable of turning your stay into an unforgettable experience. 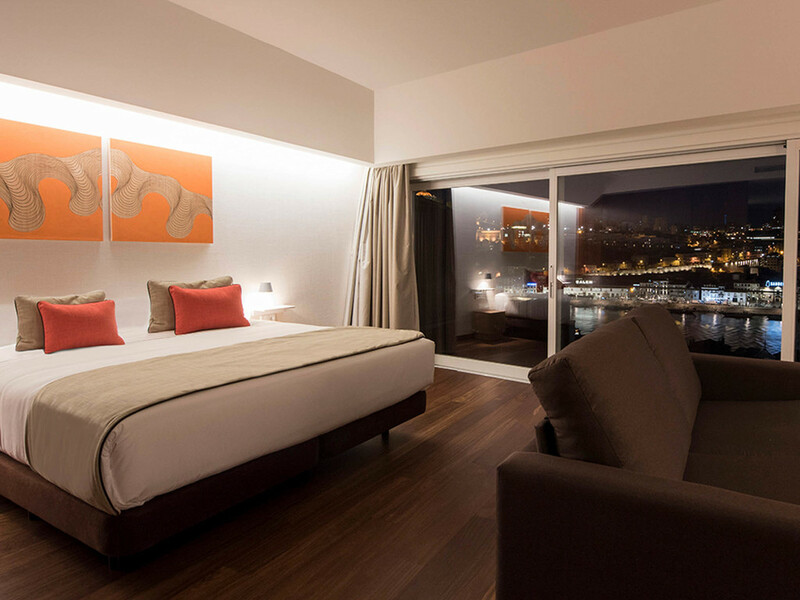 A room with exclusive design with luxury details, that will allow you to enjoy great views over the Douro River. 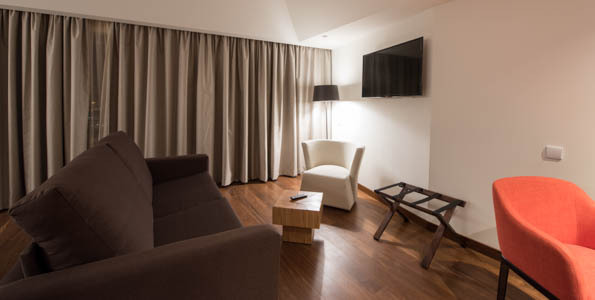 This suite presents an elegant and modern design with a flat-screen TV with satellite channels, Nespresso coffee machine, infusions kit and an en-suite bathroom with toiletries and hairdryer. 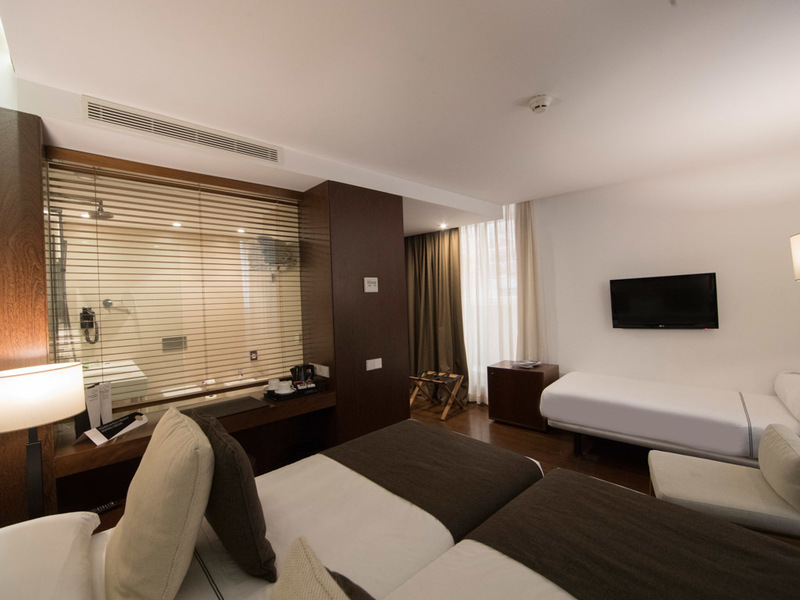 Family vacations Spacious and with a stylish decor, this room specially designed for families offers two separate beds and a single bed. 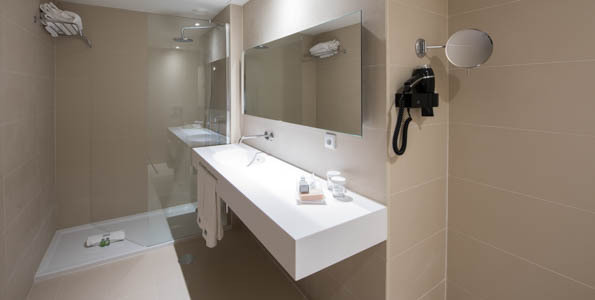 The facilities in the room include a flat screen TV, Nespresso coffee machine, infusions kit and an ensuite bathroom with amenities and a hairdryer. Perfect for some family vacations! (Please note that this room cannot accommodate a cot). 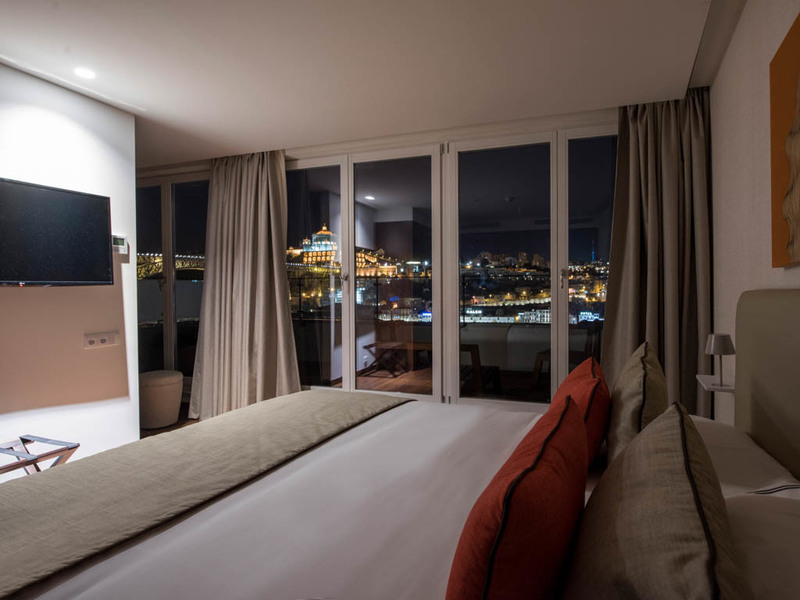 Thanks to the spacious terrace attached, this room will allow you to enjoy views of the Douro River with greater comfort.Room with a modern design and air-conditioning, flat-screen TV with satellite channels, infusions kit and an en-suite bathroom with toiletries and hairdryer.